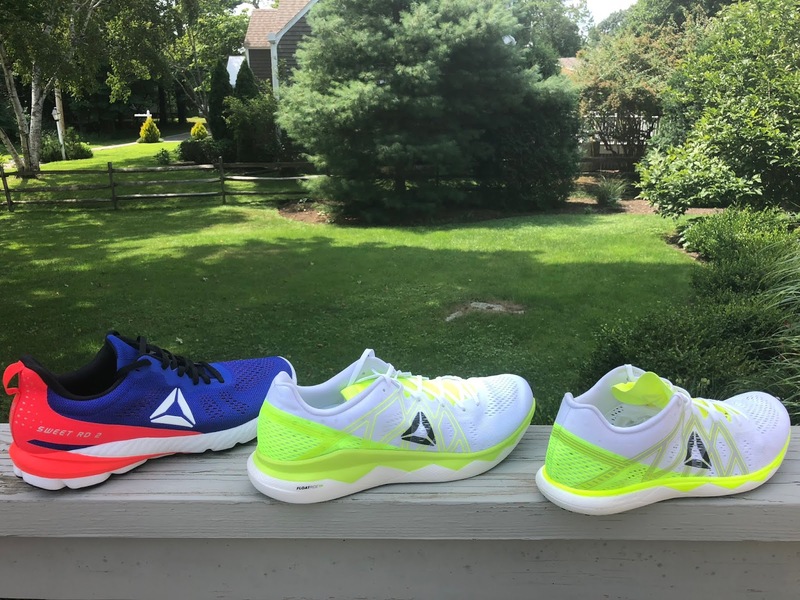 Reebok is on a focused tear in 2018. The race Floatride Run Fast (RTR review) and Floatride Run Fast Pro (RTR review) are superb racing shoes among, if not the very best and most innovative of 2018 with their Floatride Foam PEBA midsoles, minimal uppers, and new approaches to integration of midsole materials and outsole. What then is the fast training partner for these more race oriented shoes? Not the Grasse Road a fine somewhat more stability oriented and heavily cushioned shoe we recently tested (RTR review) and for me due to its 10.8 oz weight not the similar but more cushioned neutral oriented Harmony Road 2. Enter the Sweet Road 2. At a very fair price of $100, this approx. 9.6 oz // 278 g US men's 9, 8 mm drop trainer seems to us the product of very, very careful consideration of and laser focused improvements area by area of the competitors in the class such as the Brooks Ghost, Saucony Ride ISO, Nike Pegasus 35, Asics Dynaflyte 3, Skechers Ride 7, adidas Solar Boost, even we would venture to say the lighter Kinvara. To sum it up, and upfront, the Sweet Road 2 is flexible and transitions very easily and smoothly, has a relatively soft forefoot to go with a stable heel with its softer KooshRide TPU insert, has plenty of durable rubber well matched in firmness to the midsole, and is topped off with an unstructured buttery soft (I run them barefoot daily) engineered mesh upper with only one strategically placed medial overlay/insert, an upper that is most comfortable and decently supportive at the same time. Read on for the details. This is one sharp classy and distinctive color way. I get tons of questions and compliments whenever I run it. The fit is true to size and generous due to the soft and somewhat stretchy, thin engineered mesh, among the softest of any recent uppers we have tested recently. The try on is sublime. Of course sublime try ons and soft unstructured mesh with no overlays beyond the clever medial panel immediately raise concern about support at faster paces. Not to worry it is fine if on the more natural and not "straight jacket" style front to back with the support coming from the high but well padded achilles heel counter, the wide mid foot on the ground platform and vertical medial side walls, the lace up which truly molds the upper to the foot and the nature of the mesh itself. 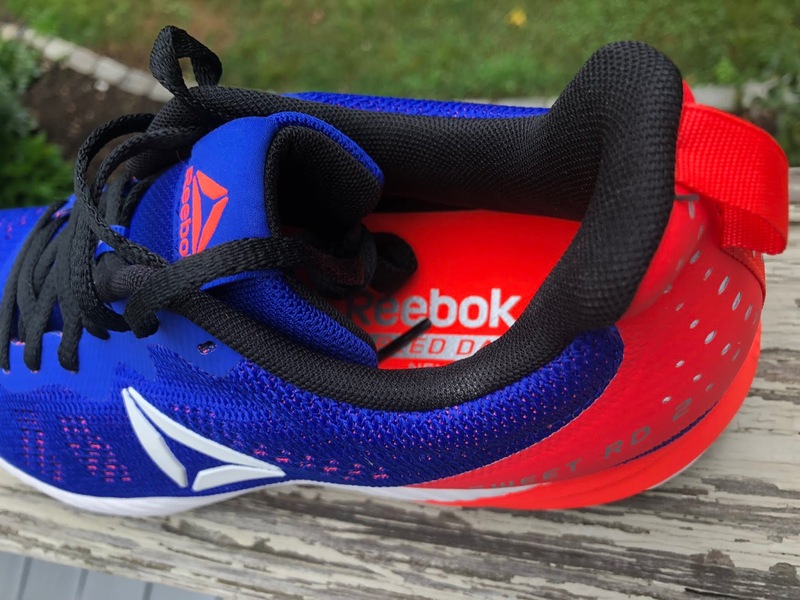 Reebok calls out the upper as a SmoothFuse breathable upper which "supports and centers the mid foot for a balanced ride" and that is exactly what it is and does. It appears to differ from version 1, a shoe I did not run, which had a more conventional stiffer mesh. Part of the support at mid foot magic is a small non stretch panel in place of the mesh on the medial side with a wide overlay backing. This panel sits directly outside the highest arch height and is very effective. I am surprised that such a totally otherwise unstructured upper supports the foot so well, but it does. If you like tons of upper snugness and support this may not be the shoe for you. I will continue to run and smile in comfort. The high rear of the heel cup is very well padded with a continuous inner feel. For sure this substantial but relatively short heel cup plays a big role in the great overall foot hold. By raising the rear profile of the heel cup all the way to the lower attachment point of the pull on strap it seems the Sweet Ride 2 avoids the disconnect between end of heel cup and rest of achilles hold. This said some may find this high approach irritating I certainly didn't. 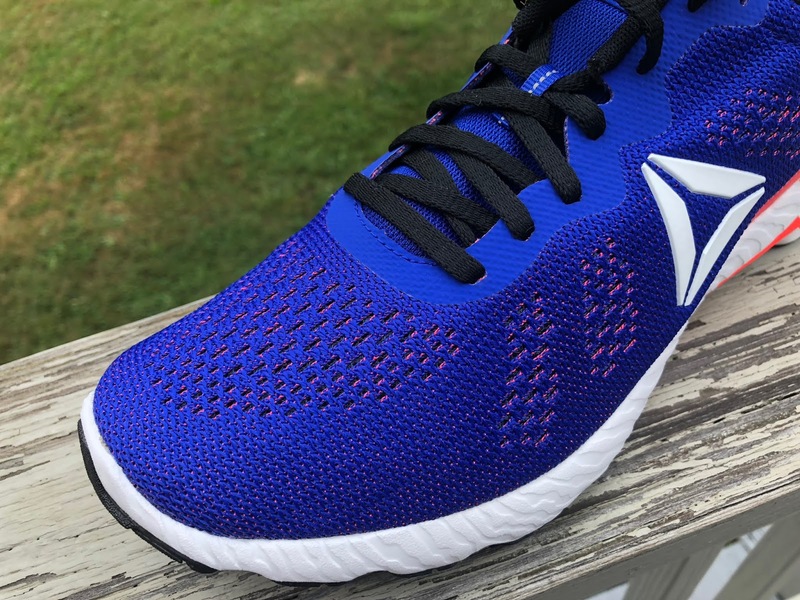 I have tested in the rain and in high humidity and this comparatively thin engineered mesh upper is indeed very breathable and dries very quickly. The upper is also called out as having a lightweight and irritation free fit. I run daily barefoot in the Sweet Ride 2 and it is a delight. I run barefoot in very few shoes. 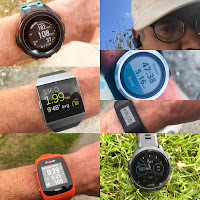 It was obvious even before trying that the soft mesh, no overlays, and not even any stiffeners beyond a short soft one at the toe bumper would allow barefoot running. The front hold is surprisingly good for essentially zero overlays and soft mesh. This said it is a "natural" easy fit, well held but not exactly locked in snug. Those with wider and problem feet should love the fit of this shoe. The midsole is injected EVA. I prefer the somewhat livelier bouncier feel of injected EVA over compression molded EVA. The midsole is very stable at the heel and is flexible and softer at the forefoot. The rear cushion is soft and comfortable but as just stated stable because between the outer EVA walls a KooshRide Core dampens shock and is supposed to provide "long lasting cushioning and consistent feel". The KooshRide Core is made up of bonded and pressed (?) TPU tubes. TPU is the same material used in Boost and Everun and is known for its longevity and consistency. Here instead of molding or expanding TPU pellets as in Boost, tiny tubes of TPU are squeezed together. 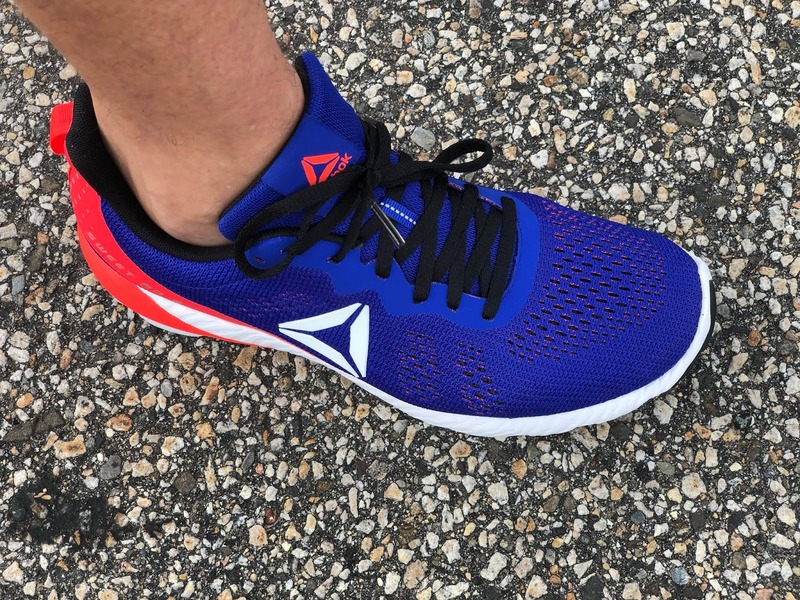 I don't have sufficient miles to judge this but the combination of good heel stability and shock and vibration attenuation at the heel is fantastic. The stability, cushion and transition is enhanced by the differing densities of foam. The red orange foam appears slightly softer than the white foam directly under the heel and above. The white foam appears to be of all the same firmness front to back but will confirm with Reebok. 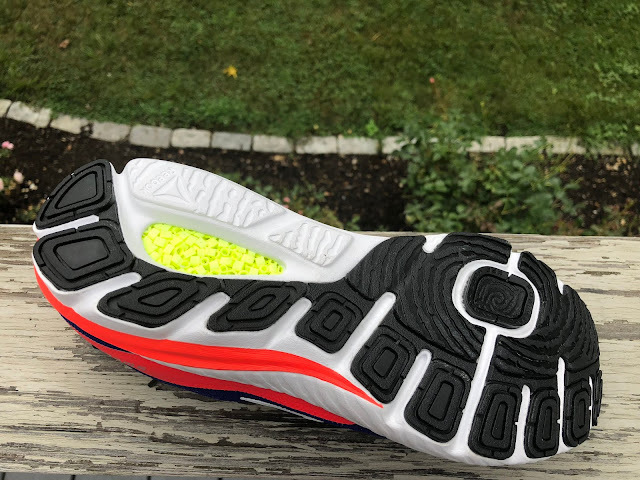 All of the foam is relatively soft when say compared to New Balance Fresh Foam, ASICS FlyteFoam or Saucony PWRFOAM and is slightly firmer/denser/more stable than Skechers FlightGen and UltraFlight when combined with the fuller contact outsole in the Sweet Road. The outsole has a segmented crash pad with firmer heel rubber and relatively soft forefoot rubber. 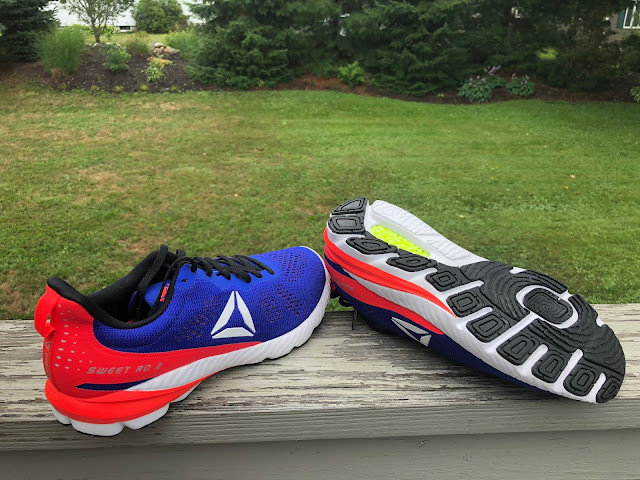 While the heel may feel a bit to stable "thunky" at slower paces for some as pace picks up transitions and toe offs are most smooth and comfortable. There is plenty of long lasting rubber here and unlike some more "budget" run shoes with gym pretensions it is not a firm harsh rubber. In fact it could be a touch firmer at the forefoot to increase response. 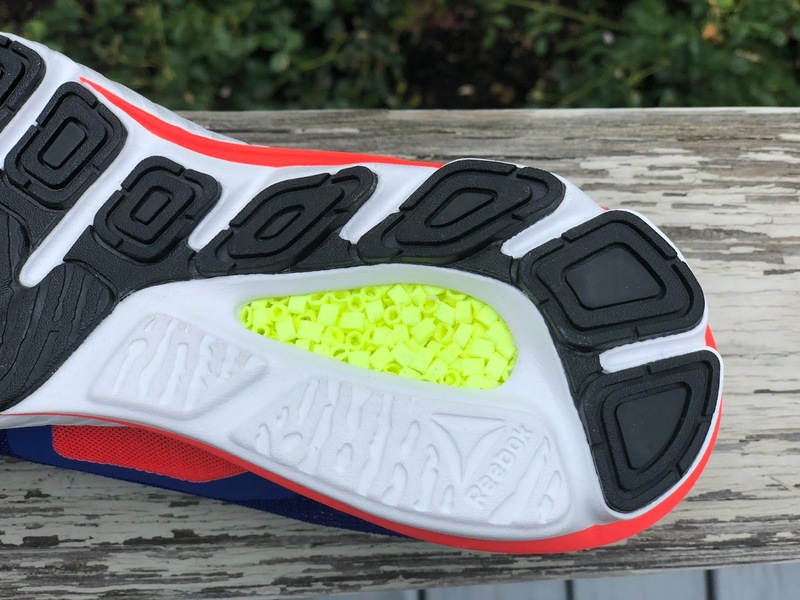 The forefoot outsole is well segmented with what Reebok calls the Power Pad on the medial side. This rectangular pad surrounded by considerable rubber seems to be the secret in how the softer riding midsole upfront still allows a stable and fairly dynamic toe off feel without resorting to firm rubber. Very clever and I find the approach effective. The ride here is smooth and on the soft side with plenty of energy but not a crazy bouncy feel or a hard pop off the road. Response is moderate due to the soft forefoot rubber and midsole. This said this is a shoe that feels best as the pace picks up and one gets off the heels but is also fine run slow. There is plenty of cushion and the transitions are very smooth and easy here. While not a "ride" characteristic I have very much enjoyed running the Sweet Road barefoot in our oppressive heat this summer. Nothing exceptionally innovative here, no flashy new foam beyond maybe the KooshRide TPU tubes in the mix. Yet the combination of attributes and the careful top to bottom execution has me for sure leaning towards the Sweet Ride 2 as my trainer of the year. The upper is outstanding in its combination of sublime comfort and adequate support. The weight at under 10 oz is fine for a daily trainer with so much durable rubber. The softer, easy going ride is stable and the Sweet can go fast (to a point) or long. I have very happy legs, comfortable feet and smiles every time I take these for a spin. The price is very fair. Clearly Reebok dissected the competition, worked the details, executed, and has hit another one to go with their incredible racers out of the park here. Highly recommended as a faster paced, comfy and easy riding daily trainer. -0.1 for weight. It would be nice if Reebok followed the trend towards modern lighter yet dynamic foams here but at $100 for a sub 10 oz shoe with all the positives of ride and potential durability I can't complain to much. They sure know exotic foams given their incredible Fast and Fast Pro racers..
-0.1 for a touch firmer forefoot rubber which could help the response. The Peg 35 is considerably firmer and stiffer. It is for sure more responsive but in a way which requires more decisive action. It's upper is fine if snug but... I am getting used to the Sweet's comfort...The Peg 35's upper and firm responsive feel make it a potentially better "workout" shoe for speedier stuff but not nearly as fine a daily trainer for me. The new, almost double the price Turbo is two ounces lighter, softer and more dynamic, almost to soft for me at heel and less stable there than the Sweet. It's upper takes a completely different approach being a dense fine mesh with lining and has issues for some over the toes. For the money and as a daily trainer with a similar softer ride the Sweet Road 2 wins. The HOVR is another super fine $100 shoe. It too has a softer rear core, HOVR. It shares a stable heel with the Sweet but is firmer especially at the heel and transitions more ponderously. The soft Ride ISO upper is way harder to dial in than the more minimal Sweet's and in a pointed p;us the Sweet nails the mid foot medial support with such an upper while the Ride ISO doesn't for me. If I could get past the Ride's upper issues I might say its slightly firmer ride and also nicely flexible outsole is more dynamic with more response if not quite as smooth and easy. This is a fairly close comparison all around although the Ghost is heavier. While the Ghost heel with its new DNA Loft insert is comparable in its stability and feel, its 12 oz drop is noticed and adds weight. Its forefoot is somewhat firmer, stiffer, and more stable with a more pronounced and further forward flex point than the Sweet. It's engineered mesh upper is considerably less pliable and thicker and may provide those needing more support in their neutral trainer more of it but doesn't hold a candle to the Sweet's. I prefer the Sweet. 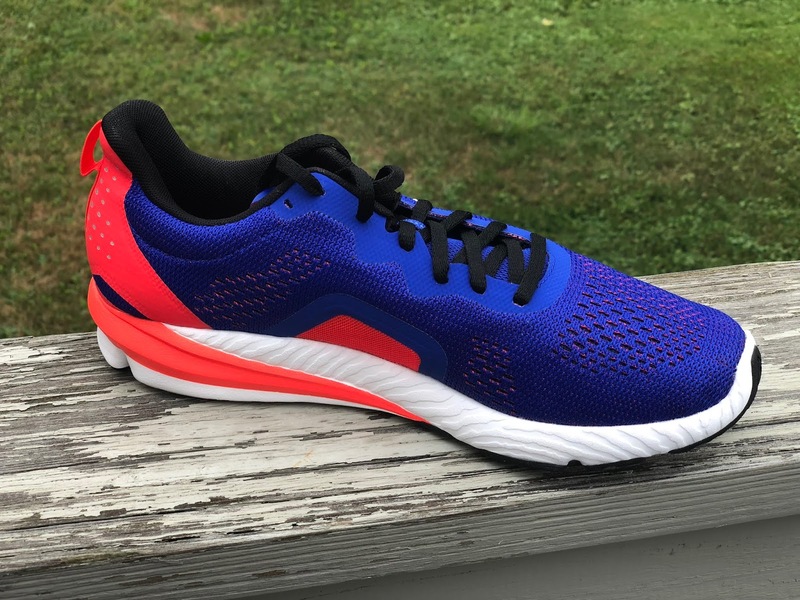 The somewhat lighter but not much so Launch 5 tries to pull off a more fabric like thin engineered mesh upper which while very comfortable for me doesn't cut it in terms of medial support when combined with its narrow on the ground mid foot platform. Clear win because of that to the Sweet. Lighter, livelier, soft and not particularly stable up front the well cushioned Ride 7 suffers for me from a lack of adequate outsole thickness and coverage to stabilize the softness. The stack provides more cushion than Sweet's and the upper while not the easy fit of the Sweet is just fine. The somewhat light Dynaflyte 3 has a yet less structured upper at the front of the shoe. It is broad there and not particularly foot conforming as the Sweet's is . It's heel area stablity and hold is similar to the Sweet's substantial but the Sweet is a less constricting and overwrought at the rear of the shoe. The new FlyteFoam Lyte is denser and somewhat firmer than Sweet's. It is not as much fun or as easy to run but does provide a touch more stability and response. Why do I mention the K shoe. 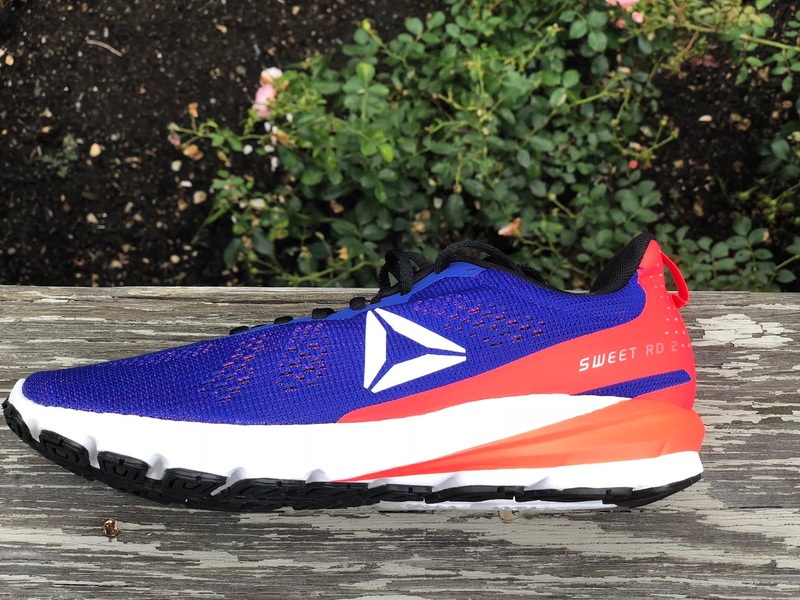 Well the Sweet reminds me a lot of the earlier Kinvara with yes more drop (8 vs 4mm) more cushion and rubber but with an easy fitting upper and flexible easy going ride. The closest comparative adidas is the new Solar Boost. Heavier with a very challenging upper for me with its combination of snug forefoot stretch fabric and an awkward but fancy looking mid foot cage the Solar Boost has a more dynamic bouncier ride with comparable rear stability but is held back by its over complex not particularly comfortable and likely weighty upper. Scrappy sister company Reebok for the win! Sweet Road 2 coming soon! Sam, thanks for another great review! Wonder how they would compare to the lighter SKechers GORun Maxroad 3 Ultra? Great review! Any thoughts on this shoe vs the new NB Beacon? I've had my eye on that for my next daily/up tempo shoe. When did you review the Max Road? I can't find the review. Thank you for the detailed nature of your reviews! Since you've given several of the 2018 Reeboks such high marks, I'm curious what you would choose to put in the weekly mix for speed days: the "regular" Floatride Run Fast or the Sweet Road 2? 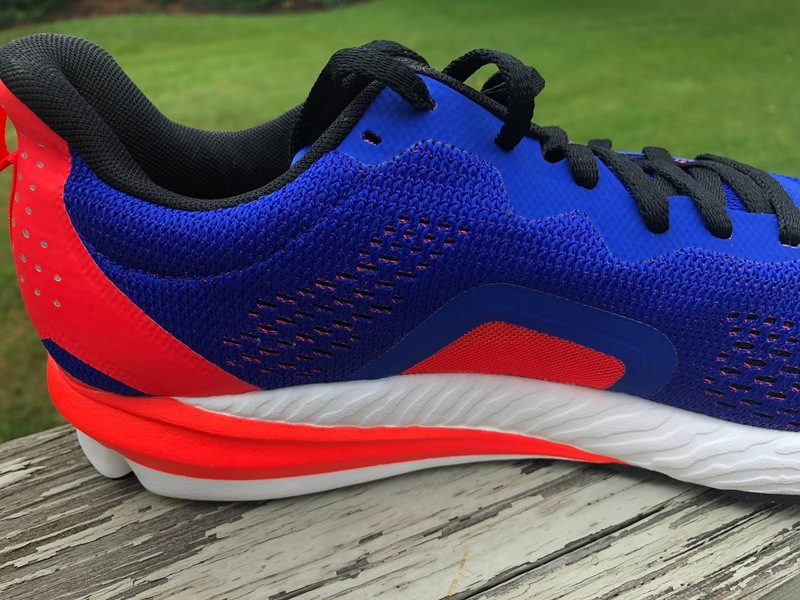 I've already got a newer pair of Glycerin 15s I picked up after the 16s came out and I'd like to pair them with a lighter shoe for faster days. Thus, weight is a major factor, but I'm also not wanting to go so spartan that durability takes a real hit. Either would fit the bill but... if you wanted a firmer fast training days shoes that could also race the Run Fast, if you wanted a more trainer focused faster shoe the Sweet Road. It also depends on your goal race times and training paces? Sam, Editor. Hi Sam,I've been a long time follower of your website. I'm a novice runner who has completed 2 half marathons with the help of your wonderful gear reviews! 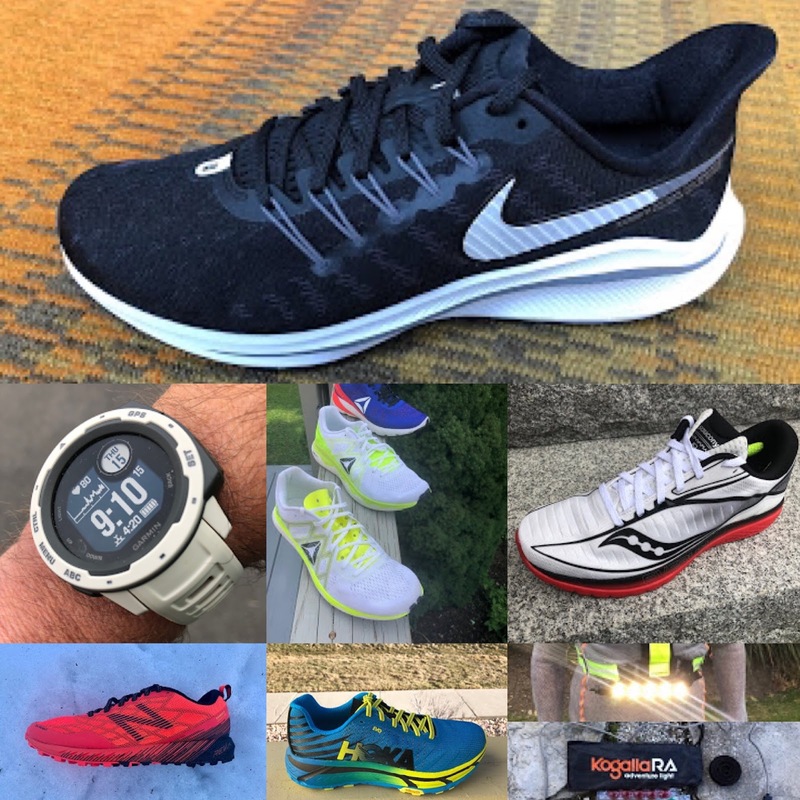 Between the Floatride Fast, Sweet Road 2 and New Balance Beacon (or other except vaporfly due to lack of availability) What would you recommend for a first time Marathon shoe for someone who runs around a 2:00 HM time? For the record I'm 5'10" and about 170lbs. Hi Dan, Thanks for the kind words! I would lean first towards the Sweet Road 2, then Beacon, and finally Fast. What do you train in now? What did you race your halves in? Best of luck with your training and first marathon. -New Balance Fresh Foam Beacons for faster days. I've done as much as 10 miles in them, and legs felt surprisingly very good afterward. Not post 10mile GRR7 good but still astounding for how light this shoe is and how fast it makes me want to run in them :) I did have some sizing problems though. 10.5D fits too much like a glove, and slightly narrow in the toe box. I tried 11D and 10.5 2E, both which felt like it threw off the balance of the feel of the shoe and the "bounce/pop" didn't provide the same feeling upon my midfoot strike/landing as it did with the 10.5D size. I am afraid of the anticipated feet swelling and resulting discomfort at longer distances given how it fits just perfect right now. -New Balance 1400v6 ...which I've called my track shoes, though I've yet to find my way to a track :) Haven't run in them yet so can't really comment. I now have a pair of Sweet Road 2s on the way per your recommendation. The marathon is in about 8 weeks, and I have an upcoming half in 2 weeks from now, of which I'll probably use the Sweet Road 2s. I also ordered some Skechers GoRun Max Road 3 Ultras, since I liked the GRR7s so much. Thanks for your rotation recap. Solid! Let us know how the Sweet Road 2 works out for you. I've been training in Brooks Ravenna 9's and Hoka Nepali for the NYC Marathon. Both shoes will be close to end of life by the marathon and wan to have THE shoe for the NYCM. 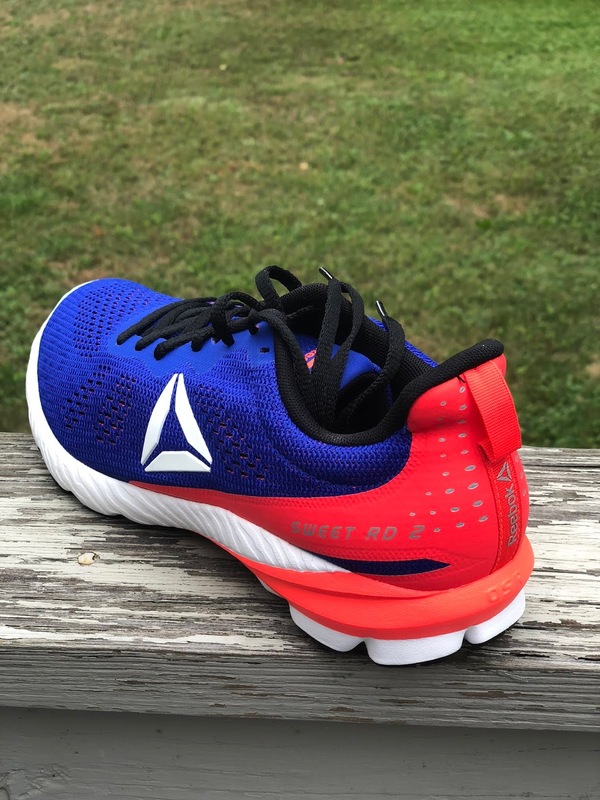 I did get to try the Sweet Road 2 in a Reebok store and it felt great. Wondering if the SR2 is enough shoe for a Full or perhaps just stick with the Ravenna or Nepali. Or the Adrenaline 18 GTS? Yipes, so many options! Good luck with your upcoming training. I'm currently getting to the point of find a replacement for my Kinvara 8s before they die. I've enjoyed them, as they are lightweight and easy to run in. I'm debating between replacing them with new 8s, 9s or trying the Sweet Road. How do these compare to the Kinvara for general training runs? Are they are worthy replacement? Do the Sweet Road have the crossover to racing like the Kinvara can? 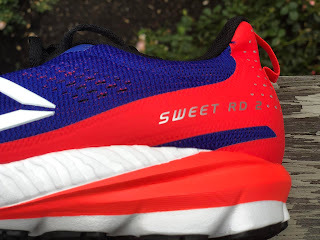 The Sweet Road 2 could replace the Kinvara but is a somewhat heavier shoe. 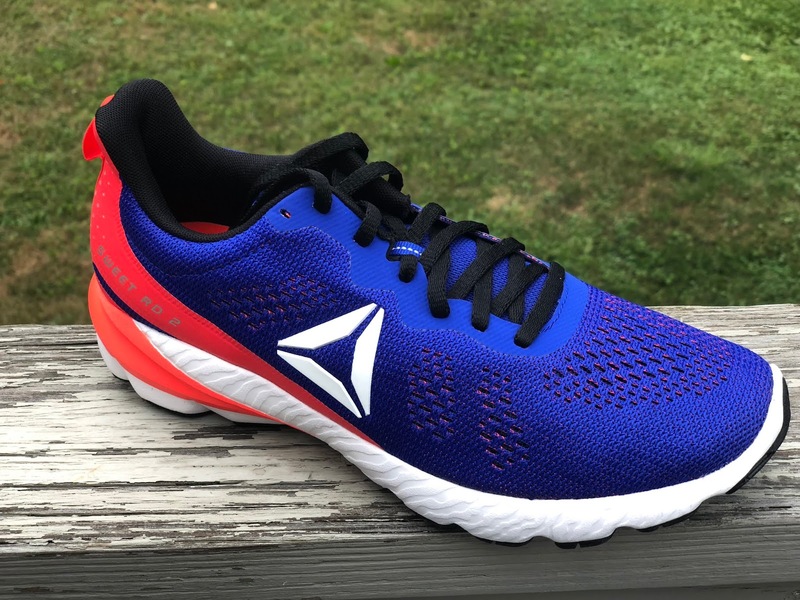 A more logical Reebok for that purpose might be the Floatride Fast. I find it yes Fast but decently cushioned too. Much prefer it to Zoom Elite and K8. It is one of the finest shoe of 2018 for fast training and racing and I even enjoy it daily training. 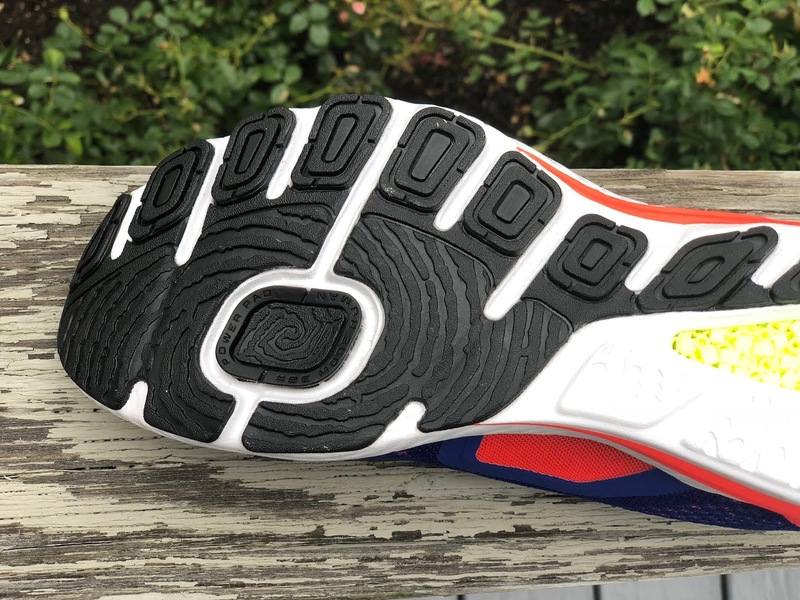 Has PEBA midsole similar to VaporFly but firmer overall. The K9 for me was much improved in terms of upper and ride and it to could be a worthy replacement. See reviews of all mentioned at the link below. Thanks for reading! Hi, how does the Sweet Road compare to Adidas Boston? The stats look more similar to the Boston than the Solar Boost. Fun fact.. this shoe is named after a road in the Syracuse NY area. I live on it and run it several times per week. I kind of want this shoe just for that reason! Yes indeed all the Reebok trainers are named after famous run routes! The Grasse Road is named after a stretch in Hanover NH above town by the reservoir I ran many times in college. This said the Sweet Road is a sweeter ride than the more stability oriented Grasse.